Check out our award-winning work! Daffodil Place is a 24 room facility in the heart of St. John’s. It is operated by the Newfoundland Cancer Society and it is their head office as well as a ‘home-away-from-home’ for out of town cancer patients while they receive treatment at the hospital. The Director came to us with one simple goal; allow for the residents to feel at home both inside and out of the facility. A Therapeutic Garden was proposed. The space designed runs along a very busy road. The first consideration was privacy and noise elimination. 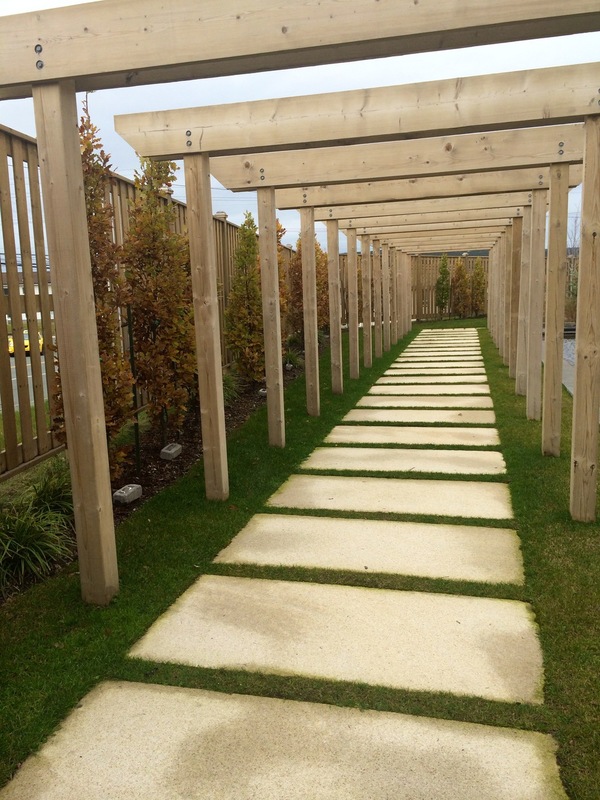 A large substantial fence and columnar oaks were specified. Other design features include a colonnade, a koi pond, several quiet sitting areas and a gathering place with tables and a BBQ for outdoor dining and socializing. 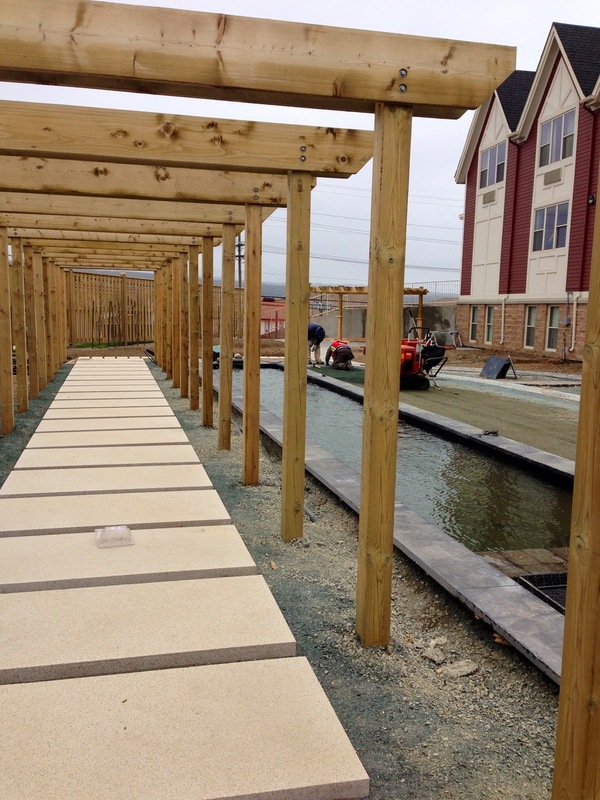 Wheelchair accessibility was kept top of mind and the whole garden is practically on one grade. The design was complete with 3D renderings so the Cancer Society could begin fundraising. Many community partners and private citizens contributed to this project both with monetary donations and in-kind. The volunteer days were exceptionally fun but we had to ensure proper practices were followed by the groups. Our maintenance team provided education seminars complete with info pamphlets on how to properly plant a tree based on Landscape Industry Certified Guidelines. The volunteers were surprised at how much care was required to guarantee longevity of all softscape materials and left wanting to go home and improve their own gardens! The City provided an exception to their fence height by-law and allowed for an 8 foot fence to be installed all around. The space now was private and sheltered from the wind. The colonnade had to be perfectly symmetrical from all viewpoints. Our staff paid particular attention to ensure that it was constructed with precision. The 65 foot long pond is the largest we have ever installed. 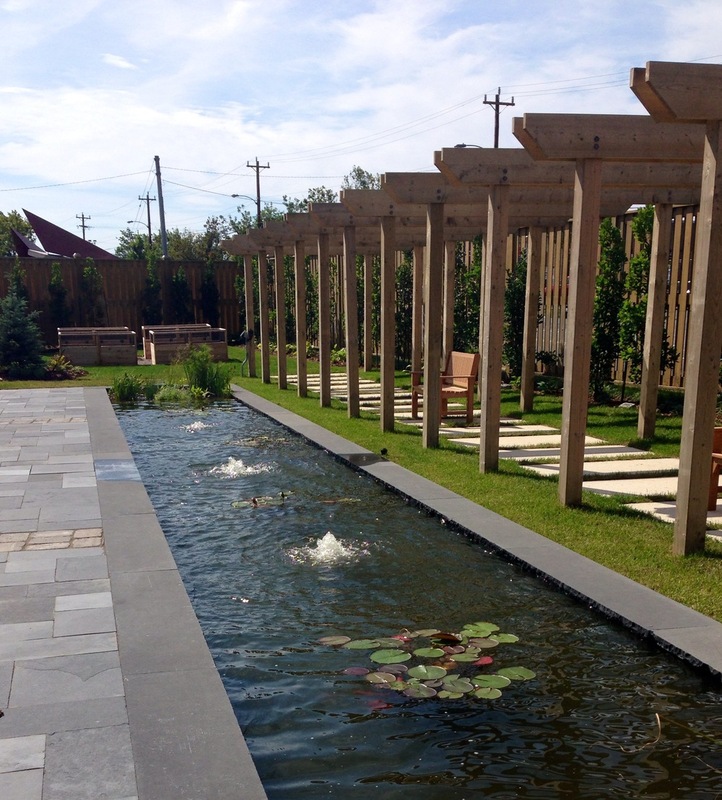 It features three fountains and a biological marsh filtration system. The fountain intensity can be controlled remotely and looks beautiful at night when lit. It has a copper ion algae reduction filter. The koi were donated by Daisy Design and are very happy in their new home. The vegetable gardens are wheelchair accessible and the residents participate in healthy living program where they learn to grow their own vegetables. The residents use the gardens regularly and find it a great extension to their home away from home. The property continues to be maintained by us as well. 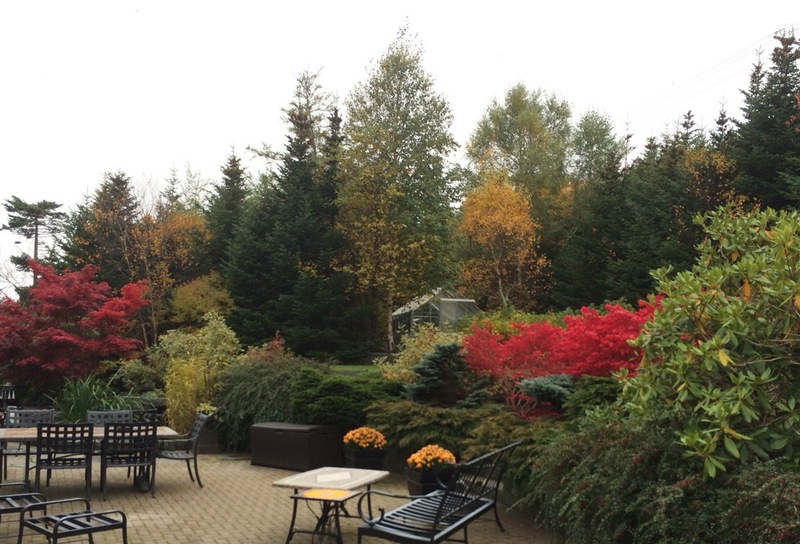 Bowering Gardens has been maintaining this property for more than 5 years. On average, the team visits 2 times per week. During each visit, regular maintenance tasks are performed including, mowing, pruning, edging, weeding and planting. 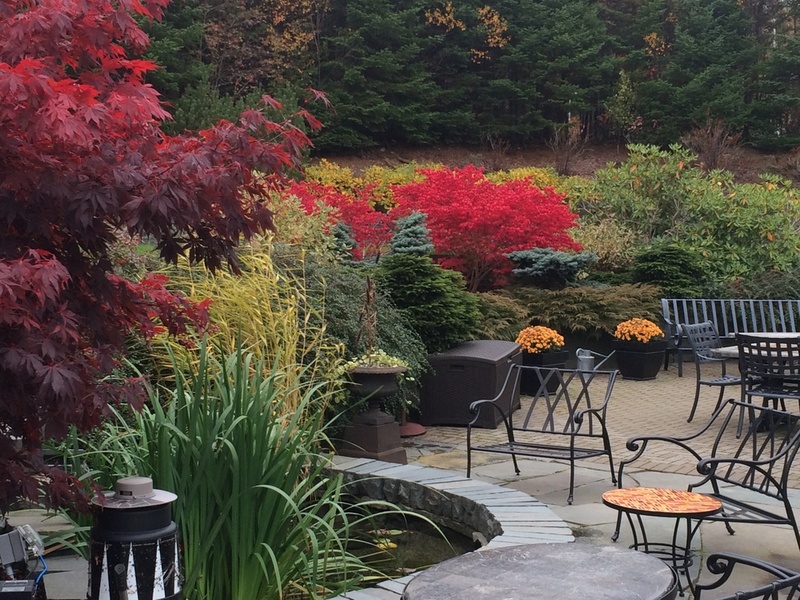 Fertilizing and liming, hardscape installation and pond maintenance are also among the common chores as well. Particular emphasis is made to ensure careful colour balance throughout the seasons. Spring tulips planted the previous fall are in bloom with the crab apple trees and rhododendrons. 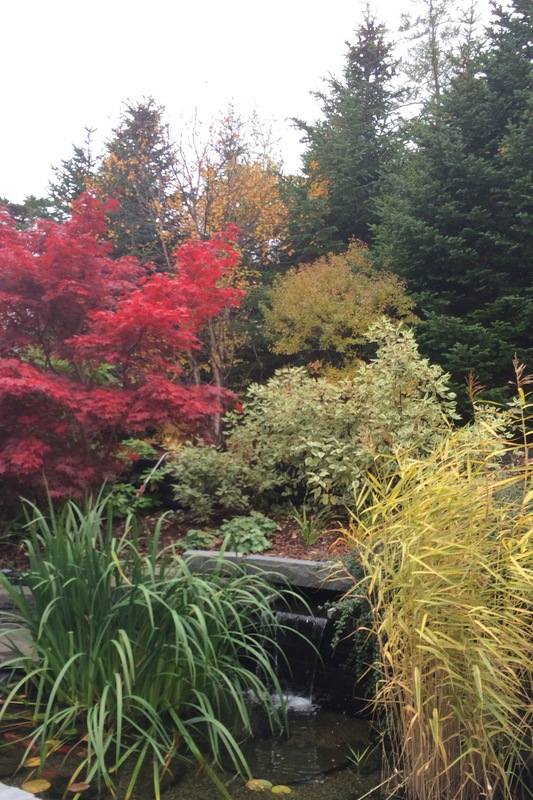 In the fall, burning bush and Japanese maple come to the forefront accented by chrysanthemums. The clients top priorities are having a tidy landscape with constant colour interest particularly pastels. Having twice weekly maintenance visits allows the client to entertain at any given time. She is very pleased with the service we provide. The north east side of the house required particular attention from us this year. It was a shady wet side with inadequate drainage where it was difficult to maintain the turf. Although residents and guests did not use this path, propane delivery and heat pump maintenance occurs on this side of the house. 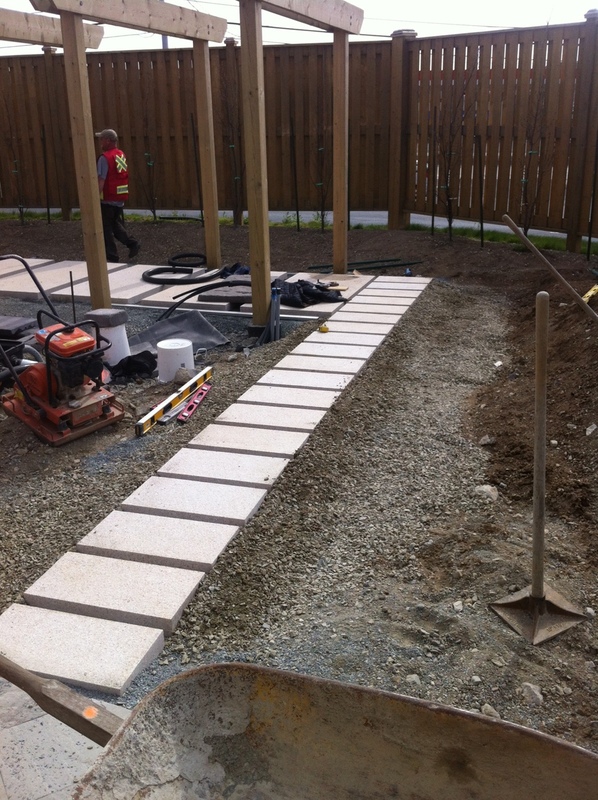 We decided to transform it into a low maintenance pea stone path with inlaid flagstone. By adding mini limestone monoliths in moss islands and in-house constructed hypertufa troughs we created a new point of interest that the client now likes to show off! We were pleased to have been chosen to build 2010's "showcase" booth!